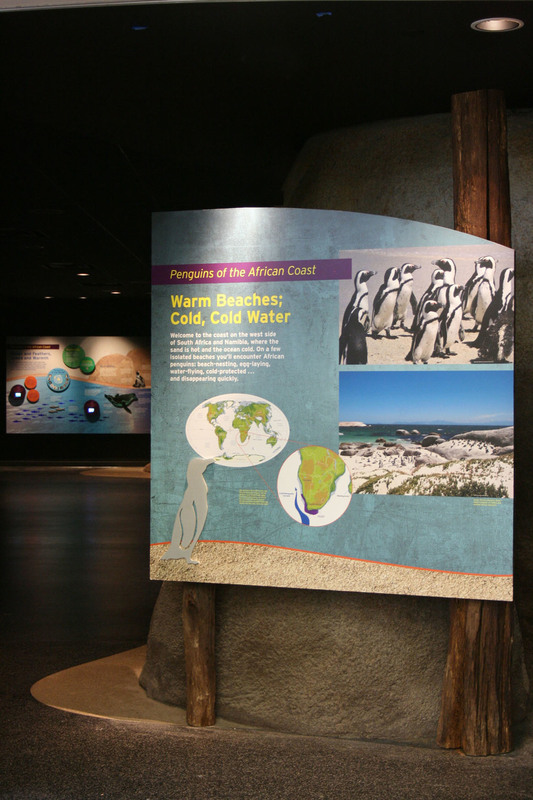 At Experience Design, formerly Krent/Paffett/Carney, I designed four interpretive panels for the new penguin exhibition at the zoo. Worked closely with the client to develop these informative, inviting panels. Coordinated graphic production, communicated directly with the fabricator and printer, and was in charge of installation.